It has been stated millions of times that American dream at a minimum consists of being able to buy a home and a car. That was mantra right after the big war – in the 1950s, 60s, 70s and probably 80s as well. A three-bedroom ranch – no basement – was almost the standard. Chevy was the choice of car. If you watch some of the old TV shows from that era, you would see a simple house that at the time met most folks’ dream of good life. Back then greed had not risen on the horizon of the American dream like it has now. Greed to some folks is not as bad if you don’t hurt anybody and you don’t play with the public trust. As long as collecting cash and assets of various sort is done within the law of the land, the American public can probably live with that. Lately, since the 1990s, greed has taken over some folks’ lives. It seems that they won’t stop at “nothing” to fill their bellies with money that is not kosher by any standard. Folks who went all the way to prison corrupted the American public trust. Insider trading is done by Congress of the United States. That’s the law. What can SEC and other agencies do when greed roams the corridors of the lawmakers? Washington Post reported for SEC, investigating insider trading in Congress presents complications. May God bless us all and protect us from the anacondas of the financial world with their fat and swollen bellies all around us, squeezing and choking us. According to FBI website, securities fraud in 2005 that came to the attention of the bureau numbered 1,139. In 2009 that number had jumped to 1510. If my Math is correct, that’s over 32.5% (almost one-third) more in 5 years. The cases between 2006 and 2009 are pending. Some of the more infamous folks who were caught red-handed, convicted and went to jail for their securities fraud crime are as follows. Some of them have been charged and are waiting trials. Everyone of them can be considered loan shark. 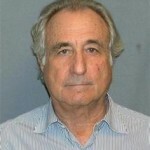 Madoff was sent to jail for 150 years to die in his new home. He managed to lure billions of dollars away from huge charities, as well as wealthy individuals in both the United States and Europe by getting them to invest in his hedge fund. He embezzled, to the tune of $50 billion, by claiming extraordinary returns. The investors got back some money but not the whole amount. 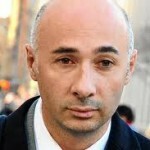 The former hedge-fund chief is serving 11 years for crimes yielding him an estimated $72 million. It was the longest prison term ever for insider trading, according to the Justice Department, and was the culmination of a years-long federal probe of cheating in the stock market. He was fined $10 million. When he gets out of jail, I assume he would still be $62 million ahead. Not a bad investment for his retirement. The trader, who pleaded guilty, is serving 30 months for leaking illegal information to Rajaratnam and others who prosecutors say earned her fund $1.7 million. No fine has been reported. She pleaded guilty in January 2011 to three conspiracy counts for illegally trafficking in inside information with Rajaratnam and others. She would still have $1.7 million when she gets out. Not a bad investment for her retirement. The executive at an expert networking firm was sentenced to 30 months for helping move illegal information between tech companies and hedge funds. The firm provided detailed information from industry experts to hedge fund managers on insights into specific companies and business segments. 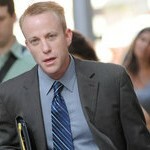 Fleishman went to trial in September 2011 and was found guilty of conspiracy and wire fraud charges. 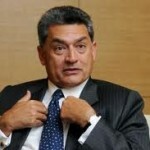 The former employee of an Apple electronics supplier leaked details of the top-secret iPad to hedge funds. He pleaded guilty and will be sentenced in 2013. He was being paid up to $200 per hour to leak insider information to a shadowy group of hedge funds and so-called expert networks. How else can there be a better use of technology? Beats me! 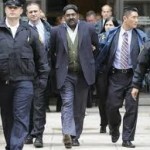 Accused in October 2011 of leaking secrets about Goldman Sachs and Procter & Gamble, where he had served on boards. In January, he faced additional charges. He has pleaded not guilty. Mr. Gupta, once one of the nation’s more prominent businessmen and corporate directors, has been accused of giving improper tips to a friend and business associate, Galleon Group founder Raj Rajaratnam. Tipped by his employee Spyridon Adondakis, Chiasson made illicit trades in computer companies Dell and Nvidia, resulting in $72.6 million in profit in less than 3 years, according to SEC. 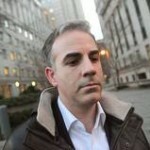 He was released on bail on charges of insider trading on Jan. 18, 2012 in New York. Greed on Wall Street set a new record for insider trading case. It involved at least seven financial industry professionals and included a hedge fund co-founder who triggered a single trade that earned $53 million in profits. Authorities say that’s the largest lone transaction ever prosecuted in Manhattan. What can we learn from these cases…? Nothing much. You can’t learn anything whenever greed overwhelms you. These people came on the screen way after Madoff. Did they learn anything when he was sent to jail for 150 years? Nope! Nope! Nope! Even if they, for a minute, thought that they would be caught and sent to jail if convicted, they would still do it. Greed knows no boundaries of any kind. These people can be sure of that. When these people who have been convicted come out of prison, many would have millions stashed away in banks and Swiss accounts. Except Bernie Madoff who presumably will die in jail, everyone else will be able to keep the lion share of their loot. Are they, like millions of ordinary folks, worried about their retirement? No siree! They are not.